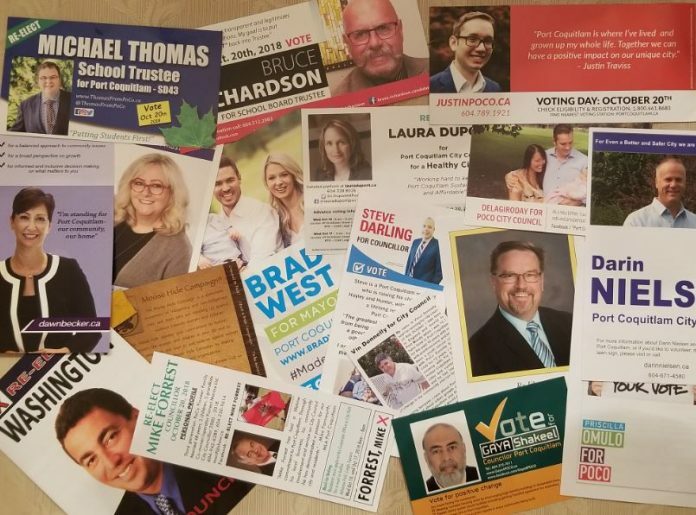 If a one day pre-election poll is to believed the next Mayor of Port Coquitlam will be Brad West with Councillors Glenn Pollock, Laura Dupont, Mike Forrest, Steve Darling, Dean Washington and Darrell Penner. Your School Trustees would be Christine Pollock and Andrea Howorth. This poll posted on PoCo.Today late Thursday evening and ending at 8:30 on Friday night had 209 voters. Most did not vote for a full slate of nine people. Some only voted for one person. It was not widely advertised so take these results with a grain of salt.